Sometimes a recipe just clicks. You feel chemistry… with a recipe. Oh don’t look at me like that, I adore good looking men (Exhibit A: Sean Faris) as much as any hormone-crazed teenage girl, BUT, sometimes… on a rare occasion… I feel this super intense connection with food. Am I the only foodie who feels this? It is as if one bite is not enough, as if I want to spend the rest of my life with this. one. single. recipe. Elton John can feel the love tonight. I can feel the love tonight. The question is… can you? Can you put aside all your commitments for that one recipe you feel a connection with? Can you sweep a recipe off its feet? Or allow the recipe to sweep you off yours? Then can you let go and simply embrace the recipe? Oh delicious one. Will you do the honour of being my… of being *sniff*… my dessert? In sickness or in health, I promise to eat you and only you. Oh you accept? Oh I knew you would, I just knew it! Now for all of you who have witnessed this spiritual connection between man (girl) and his (her) dessert, I urge you to find your own love, the one recipe you want to spend the rest of your life with. Be stuck on a deserted island with (pun intended!). Battle through the impending apocalypse with. Allow to cool (if you can) and then devour with vanilla ice cream! Amazing. I’m in love. Does this dish have an older “brother”, CCU? Uru, I thought you were getting engaged *ehmm* 🙂 This nutella and chocolate is a perfect marriage made in heaven though!! Haha nope not yet 😉 and not for a while! Oh I can definitely embrace this chocolate treat! YUM! Sounds like you’ve died and gone to dessert heaven 🙂 I totally approve committing to this one! 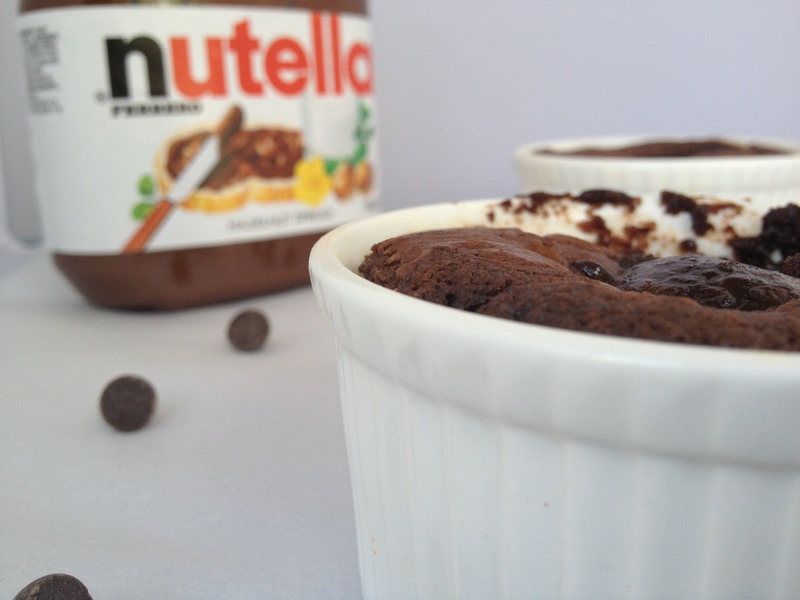 Wonderful recipe, one of my favourite puddings but I’ve never made it with nutella before! Genius! Dgyrghcdr43;$64gfde!?5dfe!!! I’m speechless! Hot damn I need this in my life, like RIGHT NOW! LOOK AT THIS PERFECTION! I just want a spoon to dive in. Major yum! Thank you for sharing! LOVE IT. Chocolate love in this recipe forreal, Uru!! I am definitely feeling a connection with all of this chocolate! You know, when I was a college student, I didn’t know how to bake a thing, and I never made even simple cookies. If I could bake like you, I think I wasn’t stressed as much and I could had a perfect college life…with a good amount of sugary treats in between! Love this chocolate dessert! Mother of pearl – there’s nuthin’ better than a cake that thinks it’s a pudding and pudding that thinks it’s a cake. NUTHIN’. I’m happy to officiate at this dessert wedding. Maybe I could join you and make it a double wedding? 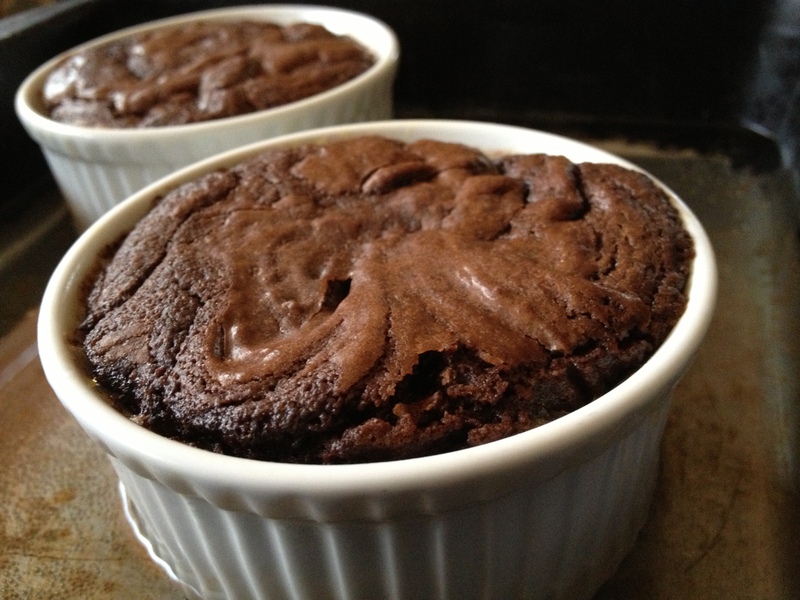 Love those molten pudding-cakes! 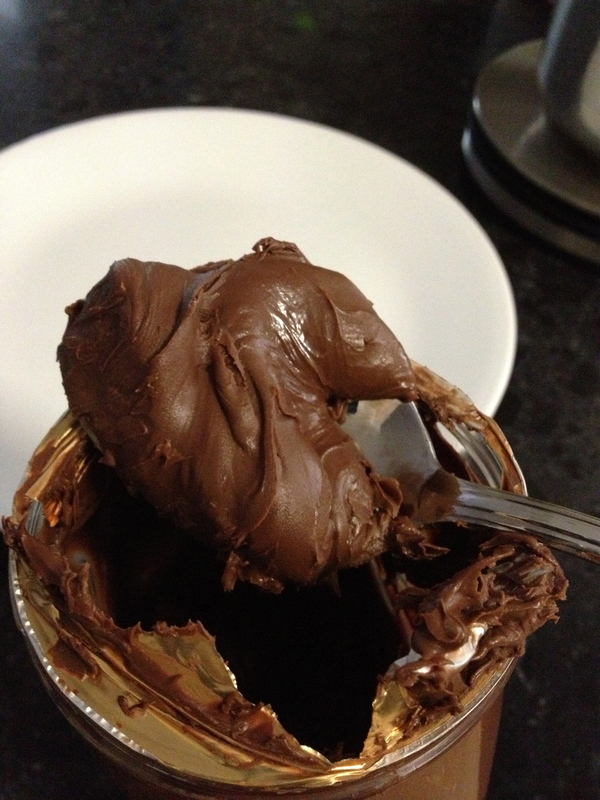 However, I’m not a Nutella fan…I’ll skip that part. Brilliant idea above to use dulce de leche! I’m afraid I will be eating more than 1 ramekin of this at a time. Should I double the recipe to begin with? LOL. Vanilla ice cream makes a perfect pair, I agree! OMGosh, this looks AMAZZZZING, Choc. SO gooood. How can you say no to that! Yum! This looks like a similar cake that I often make when I want a super big dose of chocolate. I know it is almost blasphemous for a food blogger to say so, but I don’t get the attraction of Nutella usually – this could make me change my mind though! A good chocolate cake recipe is worth more than gold. Truly, your melt & mix method has definitely made the way for a stress free baking session, that can be whipped up in next to no time. Nutella or not, I’ve no doubt it would still be amazing! Does this dessert have a brother? Lol. Love the ooey-gooey chocolate hazelnut goodness!! As if it was not already an over the top recipe you add ice cream. I like where your head is at!!! Okay I am totally digging this recipe and the photos with the ice cream on top just about pushed me over the edge. I almost ran into the kitchen to whip this up immediately. Then I remember my whole family is sleeping and that would be rude. Lol! Oh, wow, that sounds unbelievable! Oh my! Look at all that chocolate! Girl, I’d rather dream about food than just about anything else! This cake is the stuff dreams are made of! Don’t torture me this way. I will mouth wateringly accept. 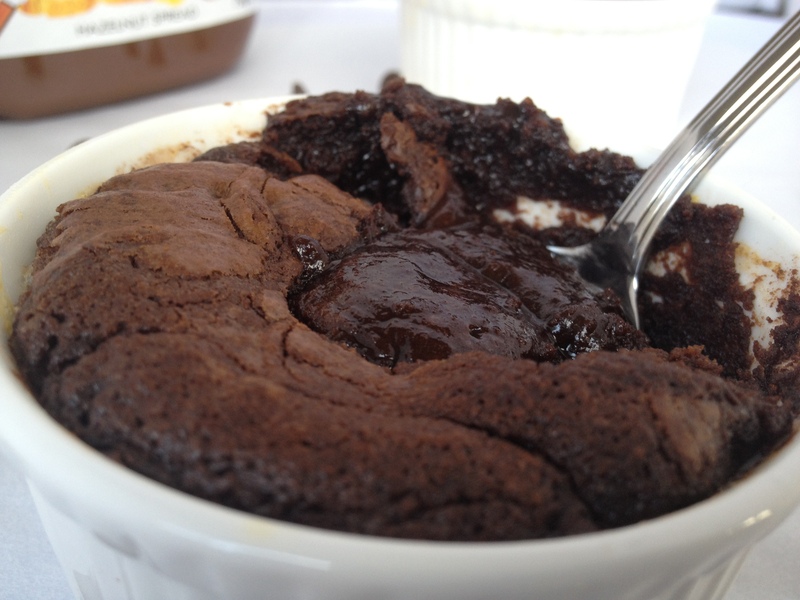 That looks like the ultimate lava cake! I love those magical food moments. My best friend and I had a meal in Napa that was so good… we looked at each other with tears in our eyes at the end. Anywho, this fudgey cake looks A-mazing! This + Sean Faris = Heaven! Haha omg so was I, total fangirling! That’s a lovely dish. Chocolate indulgence is one thing I never want to miss on. If I’m going to fall in love with a dessert, it would have to be this one 🙂 All that chocolate sounds like perfection! I can feel the love with anything molten chocolatey! I always feel a super intense connection with food, and I totally see myself connecting with this gooey dessert. Yum! 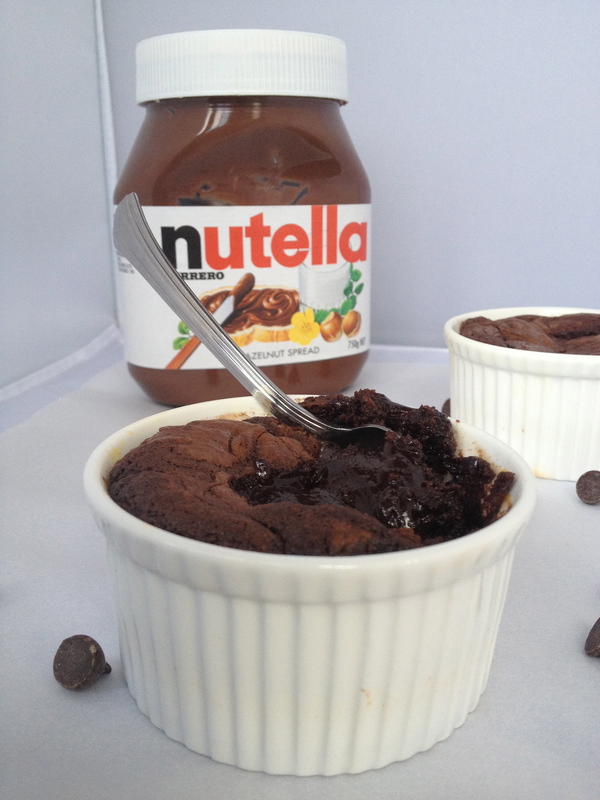 I definitely feel the love from this Nutella brownie pudding – yummo! Hmmm, photos are very naughty and nice! Love the pretty bundt cake I’m seeing as I post this. 🙂 Have a great week, Uru. Blessings! That bundt cake was made on Australia Day! Its the perfect proposal for chocolate lovers. How can the cake not be? Made with nutella and with that generous scoop of ice-cream, its simply the best burst anyone who love. I’m about to embark on a June of healthy eating – you’ve reminded me how lovely that can be! 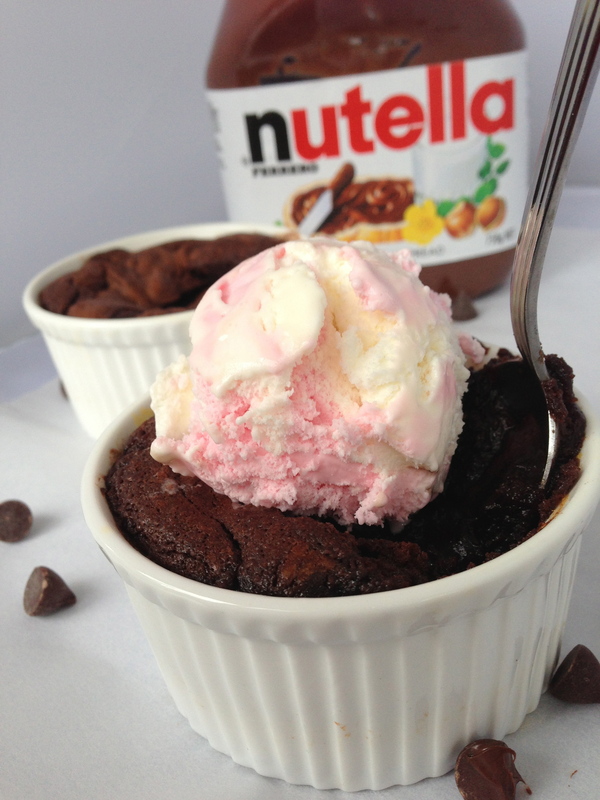 I adore nutella and this looks too decadent! Your chocolate recipes are going to be the death of me. I swear, I have never adored chocolate more!!!! Oh, my. This is a winner! I think I’d need to make a huge batch!!! I got hipnotised by this pictures. So much of chocolate! Delicious! Looks like an alternative to Chocolate Fondant! I’ll accept, this is chocolate heaven. Oh I want one right now with a big scoop of ice cream on top, This is over the top delicious. Love this! I totally understand the chemistry. Looks delicious. Oh, I know *exactly* what you mean. And it looks like this is the type of recipe that I could definitely click with, too. YUM! There is no doubt that I would say “yes!” To this proposal. Love cakes with gooey fillings and ice cream…..yum. And no, I am having difficult just balancing the blog, facebook alone with school right now haha that’s why I haven’t gotten twitter or pinterest or even instagram! I’m sure I would fall madly in love with this pudding as well. So, so crazy delicious looking Uru. Cute post as well. You are always so creative. I have 2 or 3 recipes that make me all warm and fuzzy just thinking about them…lol! Nothing wrong with a little chemistry. This looks delicious! Wow – not only do I love the looks of the final creation but I really drooled looking at the pictures of each step. You’ve got a sure winner with this one. Can you get it here by about 7 tonight? 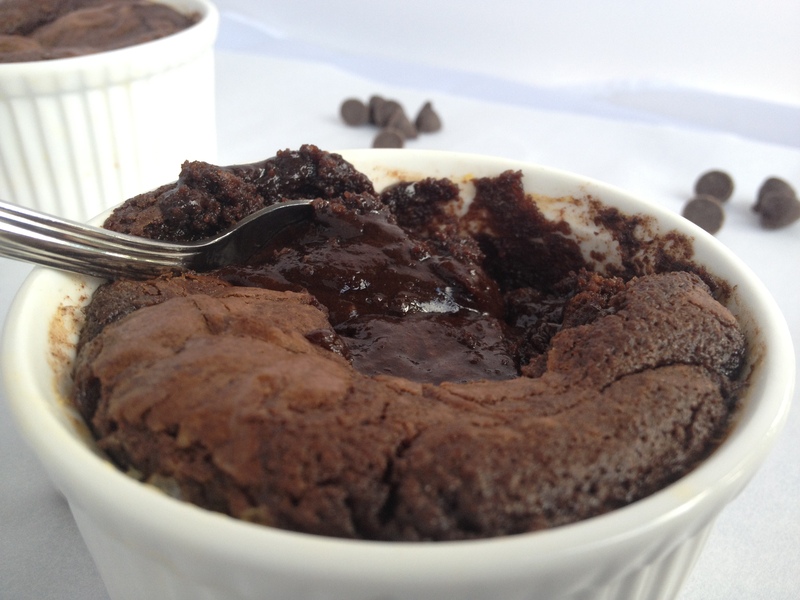 Oh my gosh–I love your twist on chocolate molten lava cake with Nutella!! looks amazing. I love a good Nutella recipe. Totally re-posting this to facebook. This is truly death by chocolate! There are just too many pics. Great sounding recipe! I can see falling in love with it. But to the exclusion of all else? I guess it depends how hungry I am! 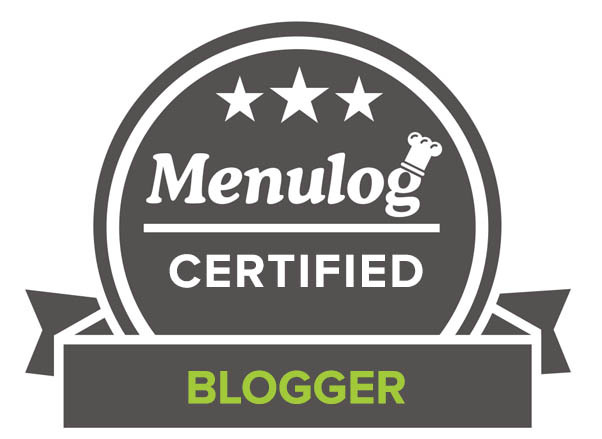 Fun post – thanks. I often feel an intense connection with my food…I think I have a problem. HAHA. This looks so good..I would probably dream about it. I’ve never wanted chocolate so bad so early in the morning! This looks insane! 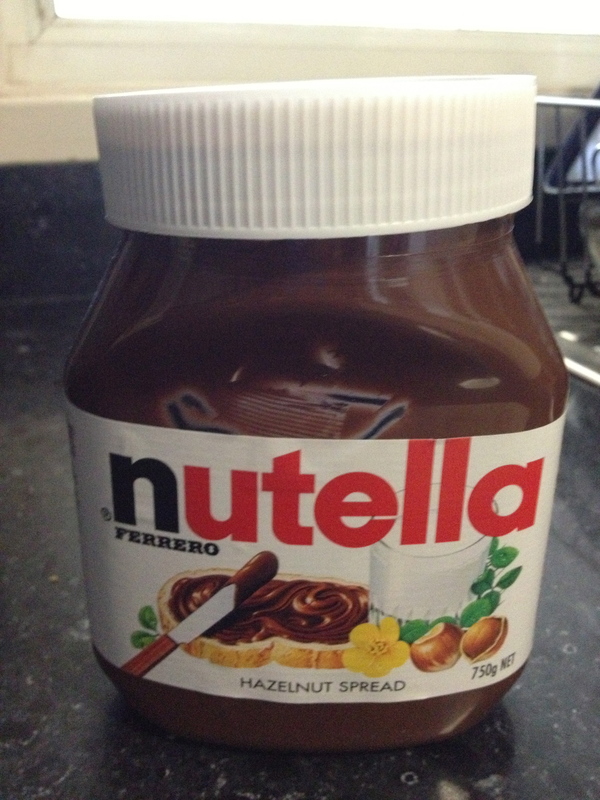 Nutella will always remind me of my entree to Europe. Fond memories. Looks delish! When I feel that way I just bake extra to last a few more days. Why spoil a good thing? Mmmm… Wow! Bring on the milk! Deserted island. 🙂 Yup. I could live on this as the one & only food available. Oh my goodness…I think this would put me in a chocolate coma! Heavenly! 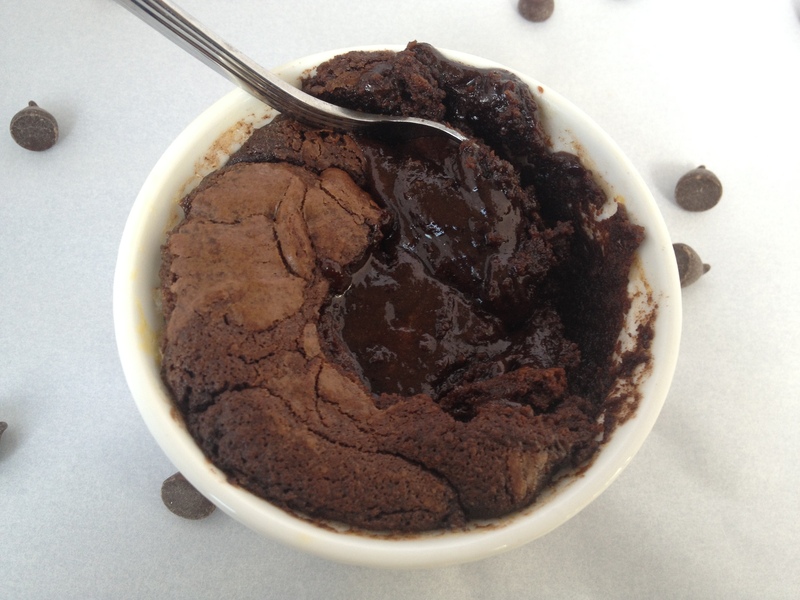 I made a very similar cake-y pudding last week with Nutella and it was AMAZING – totally addictive! Just been invite to another food tasting at an Italian restaurant & one of their signature desserts was also a Nutella one. Who wouldn’t say “yes” to such a proposal? this looks like pure chocolate indulgence! That’s a chocolate heaven, Uru! Oh I’m feeling the chemistry with this recipe. The melty gooey goodness of chocolate and nutella. Amaziiing! This really does look like love in a ramekin Uru. It makes me want to play some Barry White. Now I’m really showing my age! 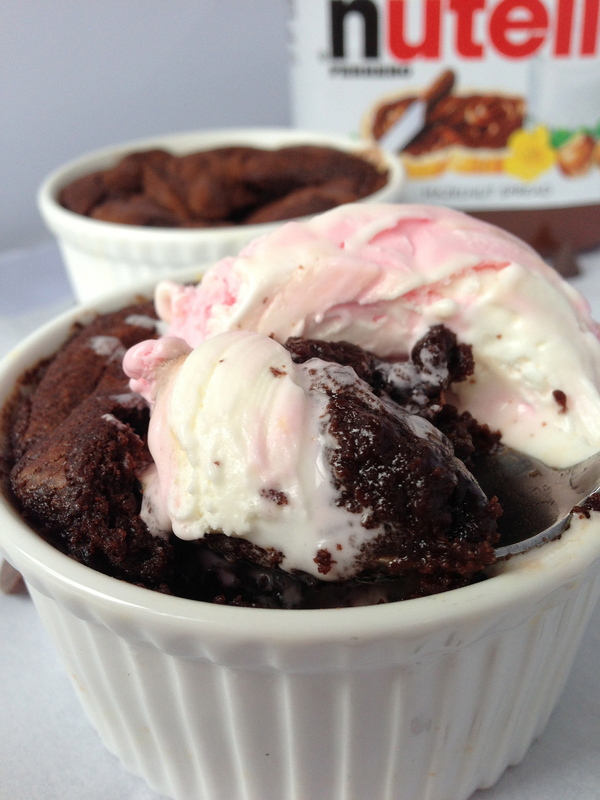 Oh my goodness, you are HILARIOUS but oh so right on….I would be marrying this brownie pudding after the first bite too. I might even accept a proposal just based on the photos! This looks like chocolate Nutella heaven.